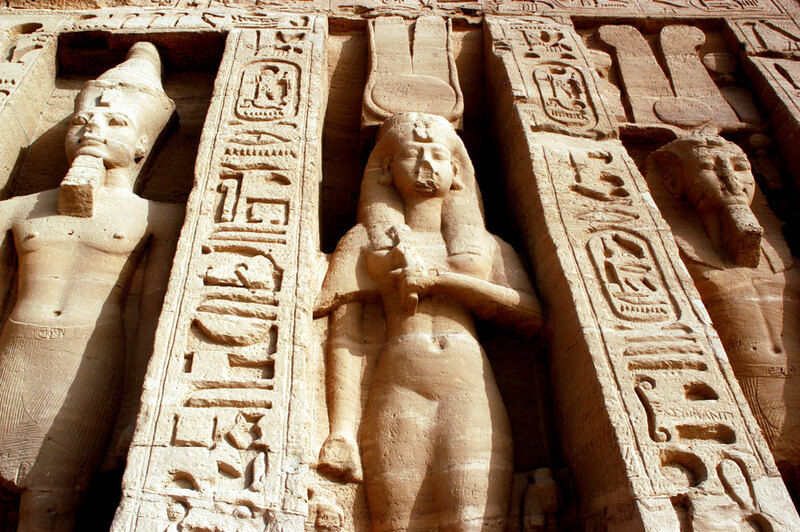 Even in a country festooned with temples, Abu Simbel is special. This is Ramses II’s great temple, adorned with colossal statuary standing guard outside and an interior sumptuously decorated with wall paintings. Justly famous for its megalithic proportions, Abu Simbel is also known for the incredible feat, which saw the entire temple moved from its original setting – set to disappear due to construction of the Aswan Dam – during the 1960s in a massive UNESCO operation that took four years. 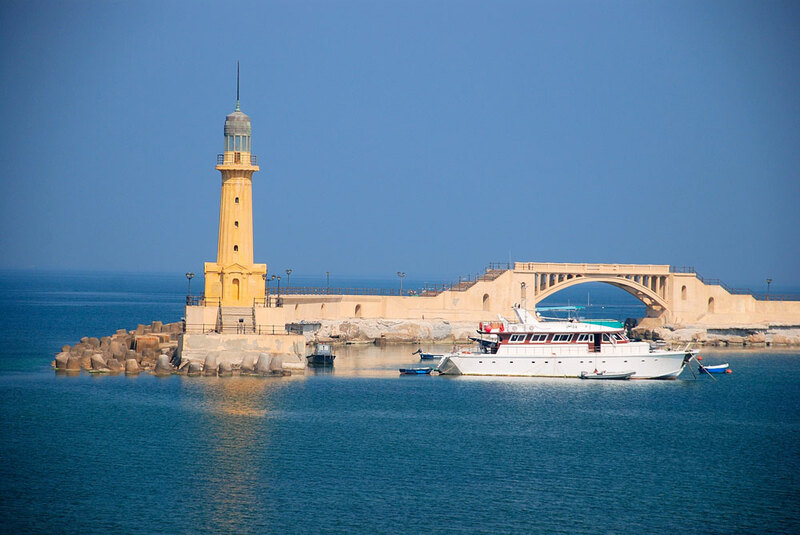 Alexandria lies on the Mediterranean Sea at the western edge of the Nile River delta. Chosen by Alexander the Great as the capital of his empire, Alexandria was one of the greatest cities in the Greco-Roman world. It was famed for its great library (which has recently been rebuilt) and the Pharos lighthouse, one of the Seven Wonders of the Ancient World. Only a shadow of its once cosmopolitan self, Alexandria still contains several sights of religious interest, including temple ruins, a Coptic cathedral, excellent museums, and several beautiful mosques. Cairo is famous for the Egyptian Museum of Antiquities containing the spectacular golden treasures of King Tut and the extensive collection of artifacts covering 5,000 years. It’s also home to the world’s oldest marketplace dating to 1382 AD. Attractions include the iconic Citadel of Saladin; Mohamed Ali mosque; Hanging Church of Cairo (Coptic Church of St. Virgin Mary), Egypt’s most famous Basilica-style church and one of the oldest constructed in 690 AD; Church of St. George in the Coptic Compound; and Monastery of St. Simon The Tanner, a very unique religious site. 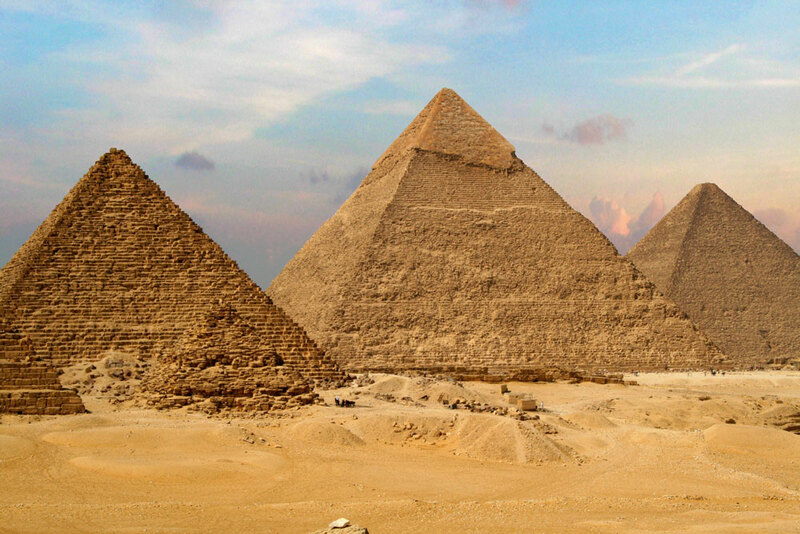 The Pyramids of Saqqara, close to the ancient Egyptian capital of Memphis, contain burials from much of Egypt’s history, most notably the famous Pyramids of Giza, one of the Seven Wonders of the Ancient World. Nearby is the mysterious Sphinx, a colossal lion with a pharaoh’s head. The Sphinx of Giza is a symbol that has represented the essence of Egypt for more than 4,500 years. The site of the Ancient Egyptian city of Thebes, Luxor has frequently been characterized as the "world's greatest open-air museum." The ruins of the temple complexes at Karnak and Luxor stand within the modern city. Luxor Temple is a large complex constructed around 1,400 BC. Unlike the other temples in Thebes, Luxor Temple is not dedicated to a cult god or a deified version of the king in death. Instead Luxor temple is dedicated to the rejuvenation of kingship. 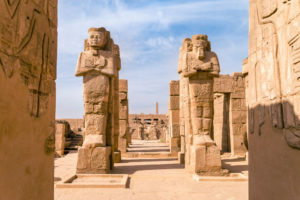 It may have been where many of the kings of Egypt were crowned in reality or conceptually (Alexander the Great claimed he was crowned at Luxor but may never have traveled south of Memphis.) To the rear of the temple are chapels built by Amenhotep III (18th Dynasty) and Alexander, with other parts built by Tutankhamun and Ramesses II. During the Roman era the temple and its surroundings were a legionary fortress and the home of the Roman government in the area. 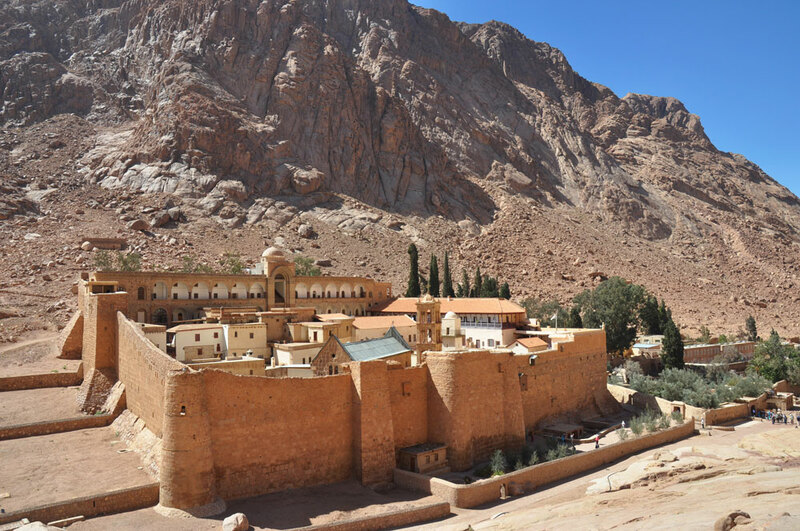 The 1,400-year-old Monastery of St. Catherine (UNESCO World Heritage Site) is one of the world’s oldest, standing at the foot of Mount Sinai where Moses received the Ten Commandments and the burning bush occurred. The desert complex is home to an incredible collection of religious iconography, art and manuscripts available for viewing in the on-site museum. The site contains the world's oldest continually operating library, possessing many unique books including the Syriac Sinaiticus. The famous “Steps of Repentance” leads climbers to the mountain’s summit. The Red Sea mountains are home to two of the world’s oldest Coptic monasteries – St. Anthony’s and St. Paul’s – full of frescoes, icons and manuscripts (including a Coptic version of the “Divine Liturgy”) that tell the stories of both saints. Walled St. Anthony’s (a working monastery) was established by disciples of the saint, who lived as a hermit in a cave above. Little has changed at the Monastery of Saint Paul over the course of many centuries. It still contains three churches, the refectory, mill and tower and is a good example of the fortress like structures that were required of the Christian monasteries of Egypt. One of the churches is carved underground to incorporate St. Paul’s cave – where he was fed bread by a raven – and his burial place. The “Pool of Mary” where the sister of Moses washed her feet during the Exodus is also found here. Immediately opposite Luxor across the Nile, lie the monuments, temples and tombs of the West Bank Necropolis, which includes the Valley of the Kings and Valley of the Queens. 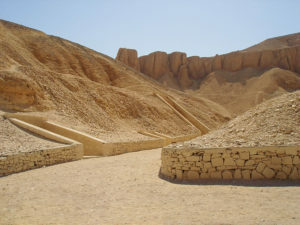 In the Valley of the Kings, for a period of nearly 500 years from the 16th to 11th century BC, rock cut tombs were excavated for the Pharaohs and powerful nobles of the New Kingdom (the 18th and 20th Dynasties). The valley is known to contain 63 tombs and chambers ranging in size from a simple pit to a complex tomb with more than 120 chambers. The area has been a focus of archaeological and Egyptological explorations since the end of the 18th century and its tombs and burials continue to stimulate research and interest.